I was a little bit excited to receive this brand new BIKE RIDE bundle in the post this week and just had to get to playing with it right away. I love the builder bundles and creating something really special. I had a friend just in mind for this card, especially when I saw that cute doggy. I can post it here now that I have passed it on to her! I hope you liked it Jodie. 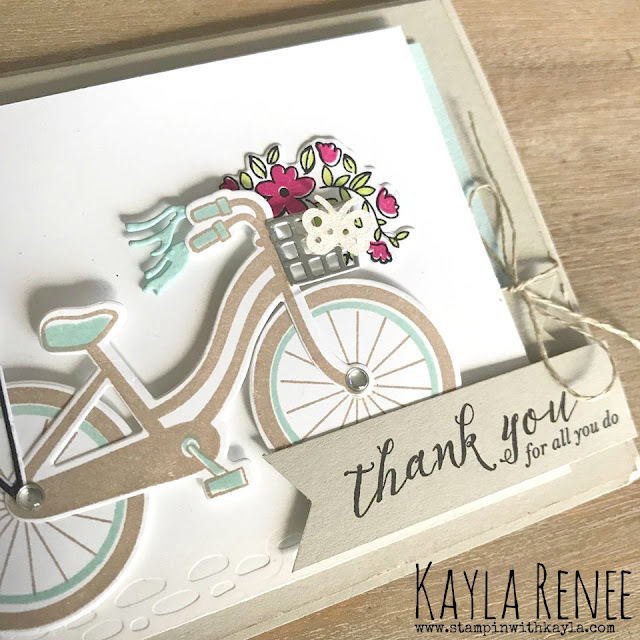 I have used a combination of soft sky, sahara sand, melon mambo and lemon lime twist with crumb cake for this card, I love how it turned out. 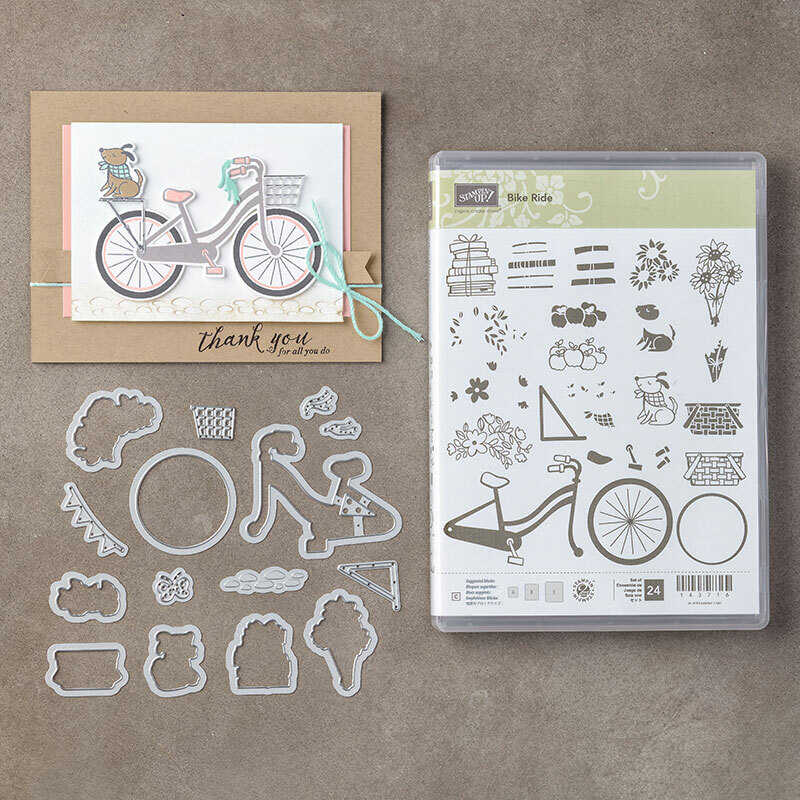 I forgot to mention that the inspiration for this card actually came directly from the catalogue on the page that this stamp set is featured on (page 20). I love using the catalogue to inspire my cards when my inspiration goes on catalogue. Never forget about your catalogues, they really are the best idea books! Here's a flat lay image of my card, sorry about the lighting it was late in the day when I took the picture and there is a bit of shadowing! 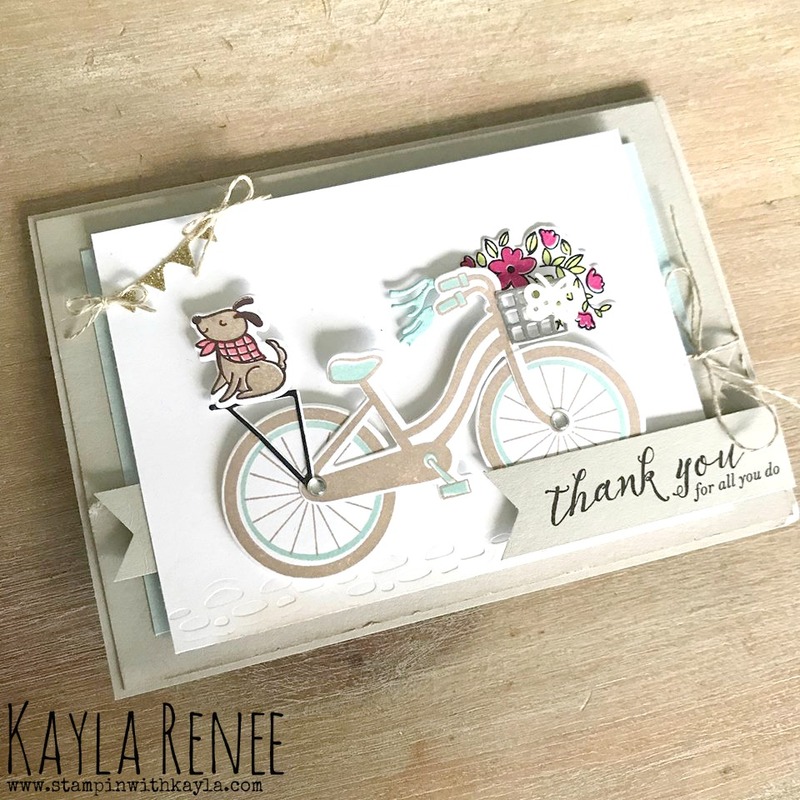 The sentiment is from the the Feather Together stamp set and really sets of this card beautifully with the black on the Sahara Sand. Here's a little close up of all the finer details. 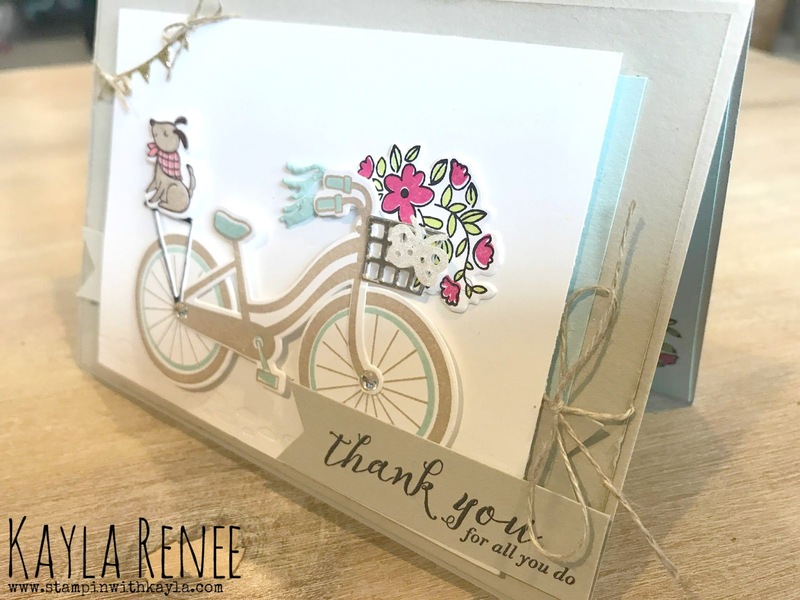 I used the metallic enamel shapes to add little details to the middle of the wheels. I love how this finishes it off and adds a bit of sparkle. Of course I need to finish the middle of the card. 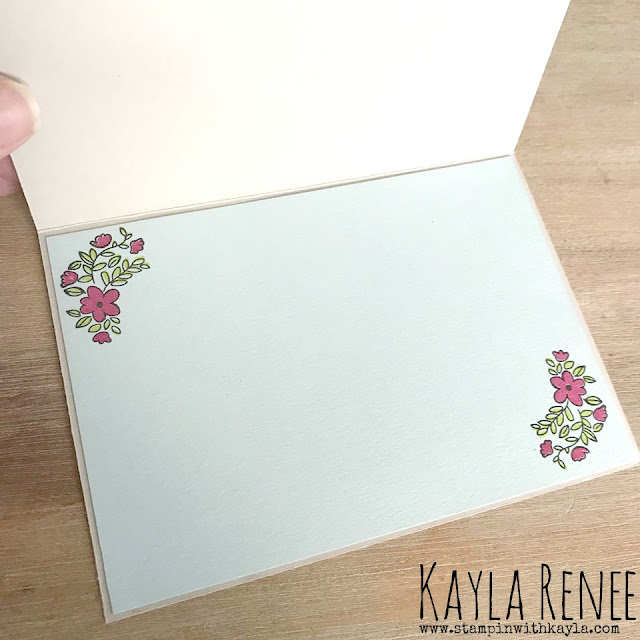 I added some of the gorgeous flowers and I love that these are 2 step stamps, it makes colouring them in so easy!! I hope you enjoyed this little look at the card I made, and I hope it's given you some inspiration. All products are listed below.